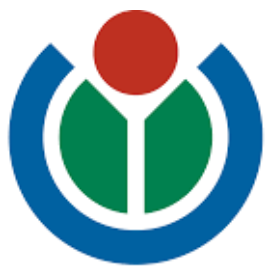 The Wikimedia Foundation is the nonprofit charitable organization that supports Wikipedia one of the world’s most beloved websites, and its mission of free knowledge for all. The Wikimedia Foundation provides all of the infrastructure to power Wikipedia and a number of other Wikimedia free knowledge websites. Before implementing Oomnitza’s IT Asset Management platform, the Wikimedia Foundation kept track of its assets using spreadsheets. This strategy wasn’t sustainable for a global organization powering an information resource that is accessed by hundreds of millions of people every month. The spreadsheet-based approach was labor-intensive, error-prone, and didn’t provide the reporting needed for the Foundation’s finance team to track inventory effectively. The Wikimedia Foundation needed a better way to track and manage their assets, and Oomnitza provided a solution to this problem. The Foundation now tracks all of their IT equipment, including employee devices, office network systems and A/V equipment, in Oomnitza. Oomnitza serves as a single source to house all key asset attributes, including purchase date, price, asset specifications, user assignment, asset usage, software, warranty timeline, and much more. And it’s not just IT that benefits from Oomnitza; the Foundation’s finance team uses the platform to measure the organization’s asset inventories and have visibility into which employees have which assets. “Implementation was really easy. By defining many important fields as drop-down options, we keep the data quality extremely high. Oomnitza offers up-to-the-minute asset inventory that allows me to build reports ranging from date to asset types." says Eliza Barrios, IT Technical Support. Oomnitza is customizable to meet our exact needs. We tie into other services and maintain uniformity in populating records and the details of all our assets.